A couple weeks ago, our friend Connor and Kelsey had us over to their new apartment for dinner. Kelsey made the most delicious butter cake. Ever. It was so super moist. And buttery. Yum. I decided to try out her recipe but in cupcake form. I used my go-to buttercream frosting (yes, more butter!) and white sanding sugar to top them off. 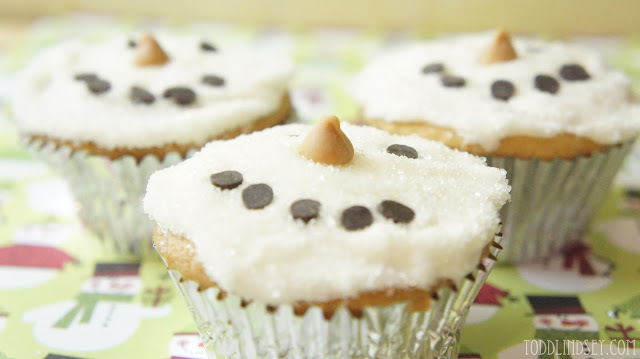 To make these adorable snowmen faces, I used mini chocolate chips, tip side down and butterscotch chips. Preheat the oven to 350* and line a muffin tin with paper liners. Whisk the flour, baking powder, baking soda and salt in a mediu,m bowl. Cream the butter with an electric mixer until fluffy and add sugar. Add the eggs, one at a time, creaming the mixture in between. Add the flour and buttermilk, alternating between each, beginning and ending with the flour mixture. Blend on high for one minute more to lighten the batter. Scoop into liners so that they are 2/3rds full. 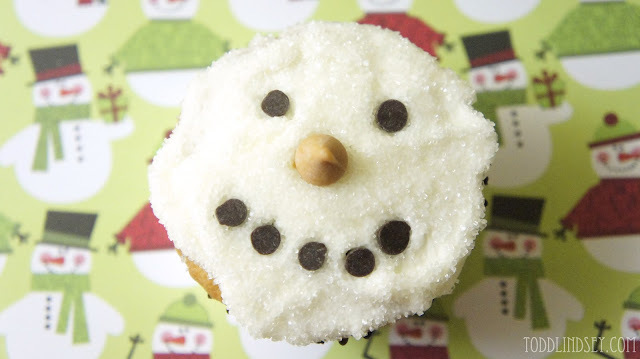 Bake for 20 minutes or until a toothpick inserted into a center cupcake comes out clean. While they are cooling, make the frosting by creaming the butter with an electric mixer on low speed for a minute. Add the powered sugar, milk/cream and vanilla and mix on low speed until the sugar is combined, about a minute. Increase the speed of your electric mixer to medium and beat for another minute or until your frosting is light and fluffy. Add more milk/cream if your frosting is too thick. 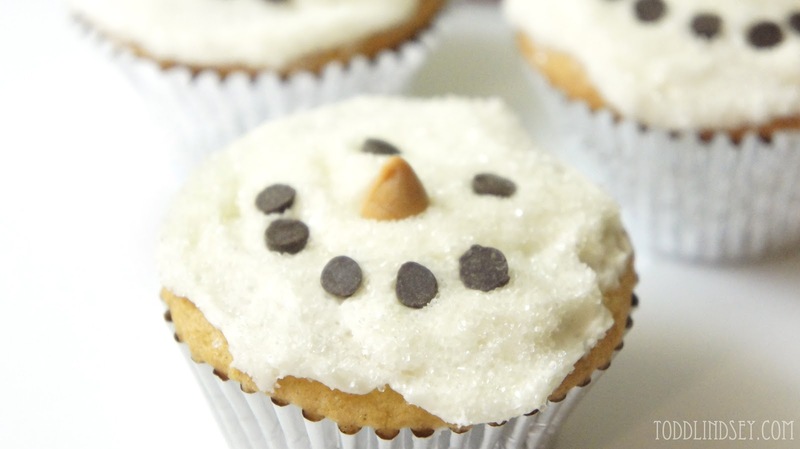 Frost your cupcakes when they are fully cooled. These are adorable! I'll have to try them ;) I'm a new follower! How fun and adorable. My grand kids are going to love these. over at memoriesbythemile.com I have a link party on Tuesday. So stinkin' CUTE! Thank you for bringing the best stuff to Whimsy Wednesday! 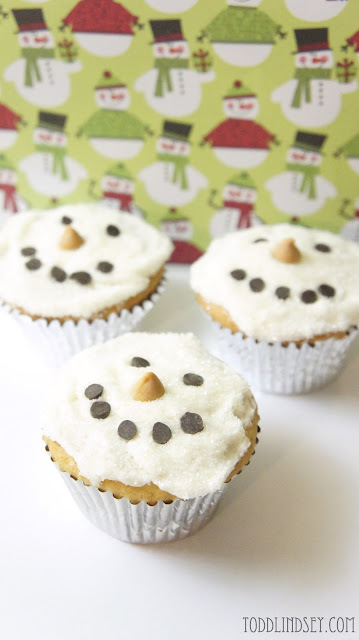 These are so cute, the butterscotch chip is perfect, at first I thought it was some orange fondant. Great idea! Thanks for linking at Printabelle! These are darling! 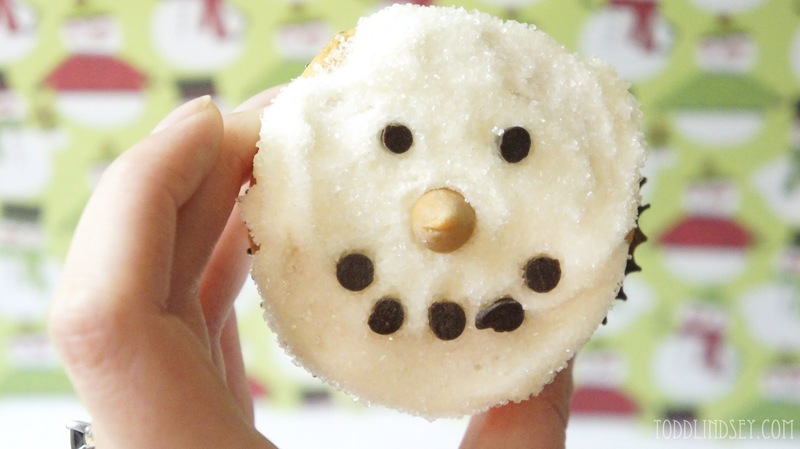 I love how you used the sugar on top to make them sparkle. Great idea!